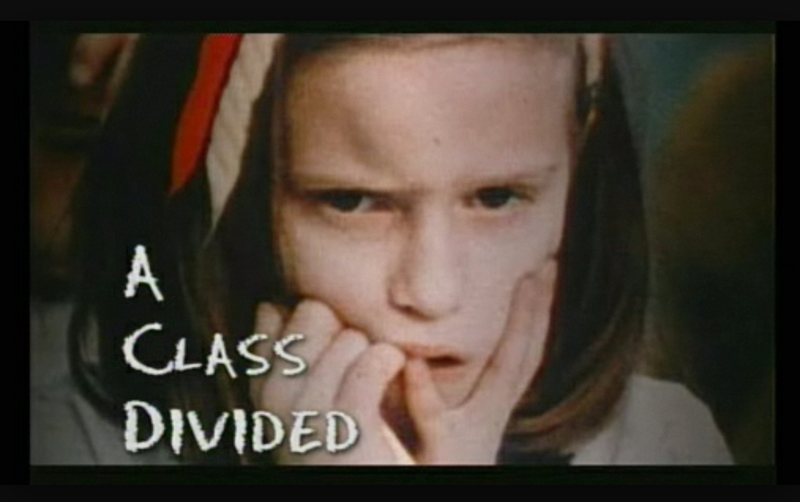 As a part of my two-week Multicultural Practicum, a class focused on diversity in education, we watched A Class Divided, an episode of Frontline based on the Iowa schoolteacher Jane Elliott and her third grade classroom. Faced with the dilemma of teaching an all-white classroom about segregation and the Civil Rights Movement, Elliot decided to make her lesson hands-on and really give her third graders experience with racism and stereotypes. For a classroom activity, she decided to split her students by eye color, favoring brown-eyed students the first day and blue-eyed the second day. On the first day, she told her kids that the brown-eyes were smarter, braver, stronger, and better. She did the reverse on the second day. The results were crazy. The students learned this sense of ‘racism,’ and ended up bullying one another because they were the class ‘bosses’ and ‘better’ on their specific day. In a classroom sense, the lesson was so effective because it taught the students what racism was really like–as they reflected, they realized what it would be like to be African American or a mistreated minority–experiencing what they’d never experienced before. When thinking about diversity in education for my Multicultural class, and as I think of my own future classroom, Elliot’s lesson is very relevant. What she did really made a difference in the lives of those students and taught them what it was like to be someone else, especially someone stereotyped or treated unfairly. I think A Class Divided is something that all teachers should show to their classes or incorporate in some way.